Whether you’re a long-time business owner or just getting started, incorporating can be confusing. So, for our Ontario entrepreneurs, we’re going to break down the process. The first step is to decide if you want to incorporate federally or provincially. One factor to consider is whether or not you’ll be doing business in multiple provinces. 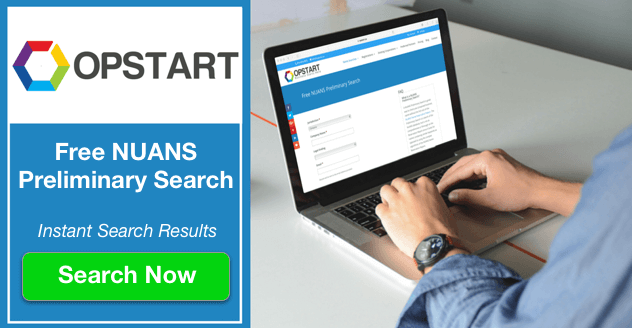 With either choice you can still operate in other provinces, but a Federal registration will ensure that your business name available for use without having to do an additional name search. 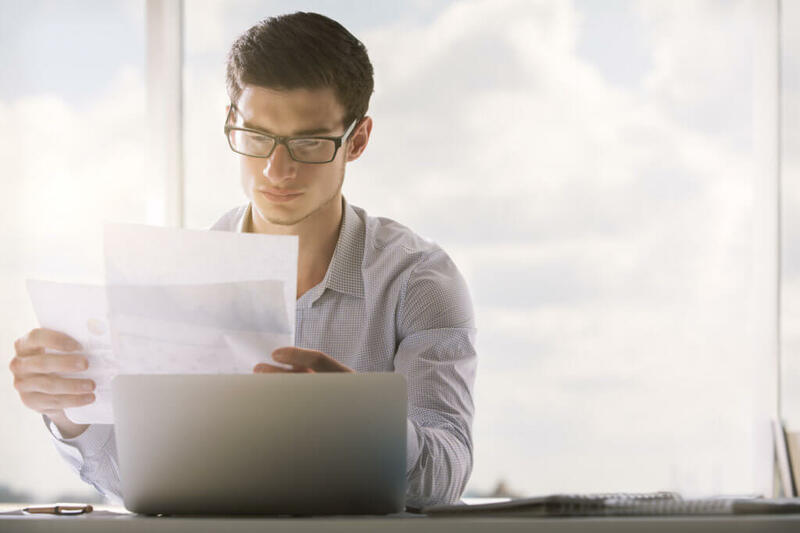 You’ll also have to file Articles of Incorporation, which will need to indicate whether you are registering a Named or Numbered Corporation, provide Corporate Schedules and the Director(s) & Incorporator(s) information. Upon approval, you’ll receive a Certificate of Incorporation and your completed Articles of Incorporation. Now, you’re on your way to the advantageous world of being a corporation! What advantages, you may ask? Let us count the ways. Here are 14 benefits to incorporating in Ontario. In a partnership or proprietorship, the business typically relies on the owner’s life to survive. But, a corporation can keep going long after its owner is gone. That’s because the corporation is its own legal entity and is not technically tied forever to the person who created it. In a death situation, this entity can carry on with its functions because it has a structure in place. It doesn’t go when its owner does, nor does it have an end date. Incorporating in Ontario is also more advantageous because of share transferability. You’re able to divest yourself from shares much easier than in a partnership or proprietorship. The amount of stock an owner holds in the corporation reflects their rights and ownership. In some instances, it may be required to repurpose a current setup. To do so, you’ll simply need to designate who you’ll sign your share(s) over to. Call up Dragon’s Den- it’s your time to land a deal. How so? Because investors are much more apt to work with a corporation. It’s more appealing to investors because of its limited liability. They won’t be held responsible if things go wrong- suing, future debt, etc. Instead, they’re usually just interested in getting their investment back. Their focus is on the investment they made and current unpaid dues, if applicable. Also, as mentioned above, it’s easy to transfer shares between owners and investors. This is highly valuable when attracting new financiers. One common reason for incorporating in Ontario is to reduce personal liability. Since the corporation is its own entity, it’s held to the same responsibilities as any citizen. It is also responsible for it’s own debts and liabilities. The corporation would take full responsibility for its “actions”. The exception here is if you’ve made a personal guarantee, or have been negligent. Another appealing element to both investors and owners is a corporation’s guided structure. Its required for its founders to set bylaws that control the company’s operation. This is essentially your company roadmap for when things come down the line. You have clear statues in place for how to react and move forward. Initially, it can be stressful to devise such a plan, and it often requires adjustments along the way. But, having a plan to fall back on is a huge upper hand. One easy way to gain more capital after incorporating in Ontario is to sell securities. A few common examples of this are stocks, bonds, and options. Businesses are able to raise debt and equity capital. Also, investors can trade freely in an open and fair trade market to further raise money. Corporations should be aware that this process is regulated, provincially and federally. There are self-regulatory organizations that set industry standards. These groups typically maintain quasi-judicial powers. So, they’re able to suspend, fine and expel non-cooperating members. Aside from limited liability, this is probably the most common reason you’ll hear for incorporating in Ontario. That’s because corporations usually pay less than you would for personal taxes. Unlike other countries, it’s not difficult to benefit from the tax structure. For many other, including the U.S., you won’t receive lower tax rates until you bring in the big bucks. If your end goal is to become a public corporation, then incorporating in Ontario is the first step. To become a publicly traded company, you must adhere to specific guidelines. The government will look to see if you meet the Income Tax Regulations. They will review the size of your corporation as well as the number of its shareholders. Also, it’ll look to how the shares have been dispersed between owners, as well as their public trading. As in some other business structures, there isn’t a set limit on how many can call themselves an owner. But, often times, a corporation is the only type where it would be feasible to have multiple owners, and transition ownership as needed. This type of ownership makes transferring titles quite simple. Owners aren’t bound to the corporation. They’re able to buy and sell their shares as they see fit. They’re also not bound to the debts of other shareholders as they would be in a partnership. They’re only responsible for their own investments and shareholdings. Having multiple owners can often be a death sentence for companies. But, in a corporation, it’s often times a much easier way to handle business. Many employers are able to offer their workers ‘profit sharing’ benefits. As the name suggests, Employees would be entitled to receive a share in the corporation’s profits. This monetary incentive is a huge driving force for retaining employees. Not only that, but it’s a great incentive for also driving their success. As we all know, our employees are our backbone. They’re likely to increase performance knowing they’re able to revel in company profit. We’ve seen it far too often. Businesses sometimes won’t enter into contracts and work with others that aren’t corporations. Incorporating in Ontario can increase your opportunity for expansion, and you don’t want to limit your growth potential. Also, people tend to feel safer doing business with a recognizable name. The name you choose for your corporation is reserved specifically for you within your jurisdiction of registration. For example, an Ontario Corporation has rights to their name in Ontario. Sole Proprietors and General Partnerships do not receive this kind of protection. Anyone can go in and start a business under their company’s name. Corporations do go through a rather strenuous name selection process. But, it is to ensure they are not using another company’s name. Also, it guarantees that their name is unique. A corporation receives much better funding options from financial institutions than other owners. That’s because they’re perceived as lower-risk investments, which allows them to acquire more capital. Not only that, but the door to find funding is wider. Incorporating in Ontario gives you an advantage over other businesses asking for funds, and you can build a much stronger network through the corporation’s investors. Lastly, we’ll end with a reason that will benefit the owners specifically. As a corporation, you have the choice in how you will receive your pay. You can take a salary, receive dividends, or receive a ‘bonus’. You could also do a combination of these 3 for a combined salary. Depending on your current financial position the right mix may vary, but this can ultimately be structured to give you the best tax advantage. So, How Should I Begin Incorporating in Ontario? You should start here. Now that you’ve read all the benefits of becoming a corporation, you’re probably excited to get started. But, as we mentioned above, you first have to undergo a name check. Ugh. Well, don’t worry. We’re here to help with that also. 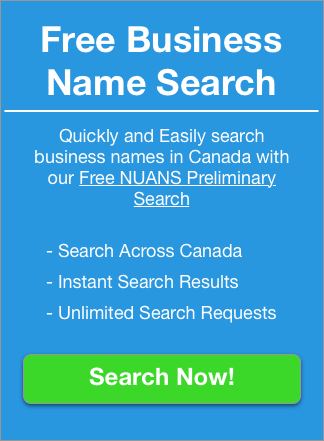 With our NUANS pre-search, you can start the hunt for your corporation’s name. Oh, and did we mention it’s free?